The change in the visual representation of the coupon was the starting point for my coupon collection. The collecting process from my community’s distribution of print media coupons enables me to follow the transition between the print media coupons and the QR code. My continual collecting activity and recent articles pertaining to the public use of print media coupons and the QR codes will investigate the current progress of maintaining the coupon collection. A Market Charts online April 2013 article sites that 78% of coupon users typically find their coupons from inserts in the Sunday Newspaper. The Sunday Newspaper’s inclusion of free-standing inserts is still currently ranked as the main method of coupon distribution. This position has not changed from a study done two years ago. 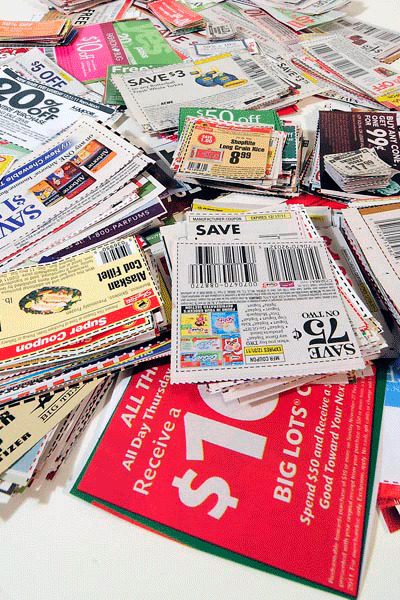 The article implies that digital forms of discounting are being used as a complementary source for coupons. The internet has not become the main form of discounting or altering the traditional means of how the public uses the print media version of the coupon. The public’s continual engagement with coupons is due to the slow growth from the U.S. economic recession and an increase in use between the consumer and mobile technology. There are estimations that by the year 2014 the consumers who use digital coupons will surpass 100 million. This growth is seen as slow and steady with the activity driven by an increase usage of Smartphones. My local distribution of free-standing coupon inserts has remained the same kind of activity by receiving them from the U.S. Postal Service and Sunday Newspaper. There is some uncertainty concerning the usage of the QR code and how it is implemented within advertising. A recent Forbes online article presented a survey of the number of Smartphone owners who have scanned a QR code and used the method as part of their internet routine. While these surveys have a limited number of participants compared to the number of Smartphone owners, the article discusses three types of questionable uses for the QR codes. The placement of a QR code in an obscure place for scannability is the first advertising question. The Forbes article’s example of this type of placement is on moving vehicles. The main question with this placement is will the target audience be able to scan the QR code. The second concern is the information pertaining to where in cyberspace the QR code will direct the audience. The article expresses that the QR code by itself is not enough to persuade the Smartphone user to scan it. Availability and up to date apps for scanning the QR code are the final questionable aspects of its usefulness. An interview with Anand Rajaram, product manager for mobile at Hubspot describes the activity between Smartphones and QR codes as “clunky”, because the mobile operating systems do not include QR scanners. He states that the QR codes were meant to be the future of marketing, but requirement of special apps for digital devices creates an inconvenience for the consumers. 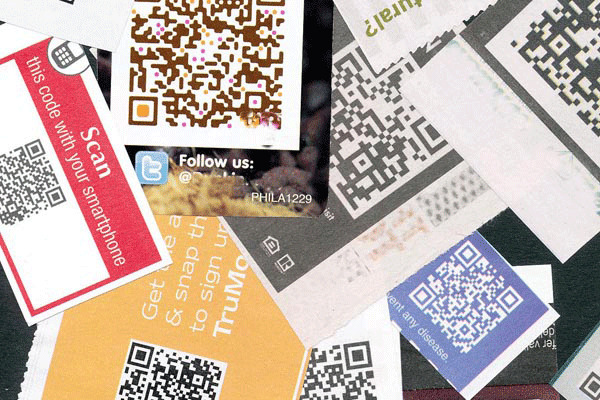 The article, QR codes declared dead – not so fast, some say, has a section with the viewpoint of the QR codes usage having “a bad rap.” In this section, Linda Pophal, a communication consultant with Strategic Communications indicates why digital marketing tools still have a place. She describes these non-connecting attempts between the consumer and the code a new activity, rather than producing an effective outcome. Linda Pophal’s theory of a new activity with digital devices corresponds with the slow and steady growth of digital coupons. Pophal’s theory and the Market Charts online April 2013 article both demonstrate that digital usage is in a state of being a complementary source to print media coupons. There are no immediate changes within my collecting process for the print media coupon. The two articles pertaining to the placement and the idea of the social interaction between the QR code and consumer acknowledge that the visual representation (the QR code) for online access needs to be accessible, along with having accompanying information. http://www.marketingcharts.com/wp/print/for-coupons-most-americans-still-turn-to-the-sunday-paper-28475/ [Accessed: April 24, 2013]. http://mashable.com/2012/01/19/digital-coupon-trends/ [Accessed: April 28, 2013]. http://www.emarketer.com/Article/Mobile-Spurs-Digital-Coupon-User-Growth/1009639 [Accessed: April 24, 2013]. http://www.forbes.com/sites/ilyapozin/2012/03/08/are-qr-codes-dead/ [Accessed: April 24, 2013]. http://www.prdaily.com/Main/Articles/QR_codes_declared_deadnot_so_fast_some_say_14168.aspx [Accessed April 24, 2013].